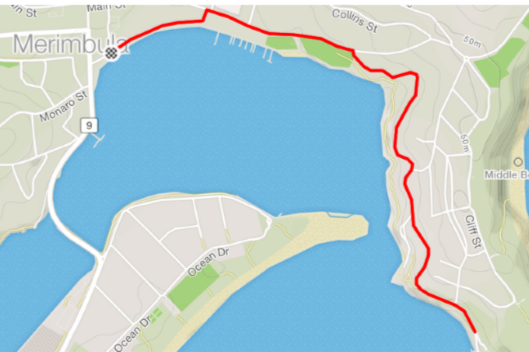 Merimbula Fun Run Course Changes | Sapphire Coast Runners Inc. The 2018 Merimbula Fun Run course has changed significantly from prior years. The course still takes in the beautiful views of the lake and coastline from along Beach Street to the Merimbula Wharf. This entry was posted in Club News, Merimbula Fun Run News on 11/04/2018 by SCR.